The Lycian Way is Turkey's first and most popular long distance walking route. It has been extended by two days and now ends at the famous climbing walls at Geyikbayiri, 25 kilometres from Antalya. 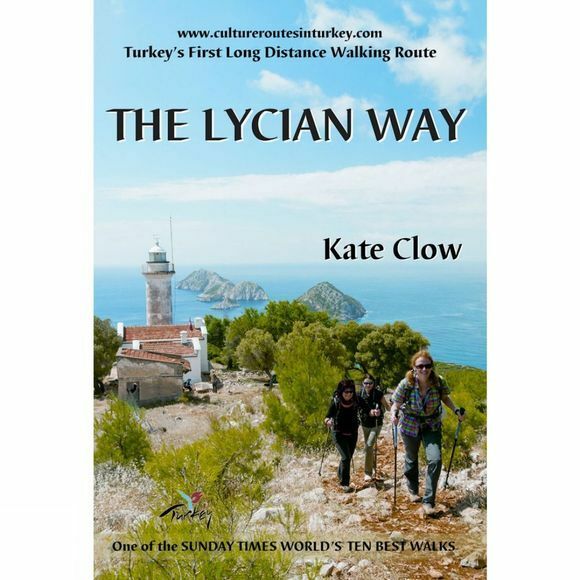 This edition of the book includes all route updates and is designed to be used with the new Lycian Way iPhone app. The book has detailed background historical and natural information, tells you how to plan your trip and has detailed guides to the sites on the route. A pull-out map is included with the book. The app has detailed mapping, notes on all places of interest, transport, places to eat and stay along the route, and guides you (often with one-metre accuracy) along the route.